City Hall Rally & Pride Crawl to follow! 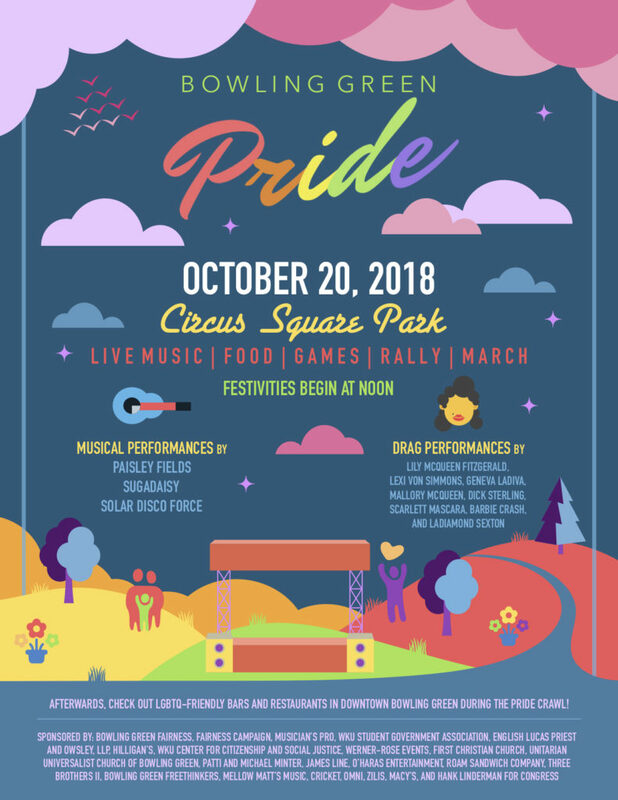 Enjoy FREE Admission to Bowling Green Pride! From Noon-5 p.m. CDT, join us at Circus Square Park for music, drag, vendors, and more! Then, at 5 p.m., we’ll march to Bowling Green City Hall to rally for a Fairness Ordinance! At 7 p.m., get ready for the PRIDE CRAWL! 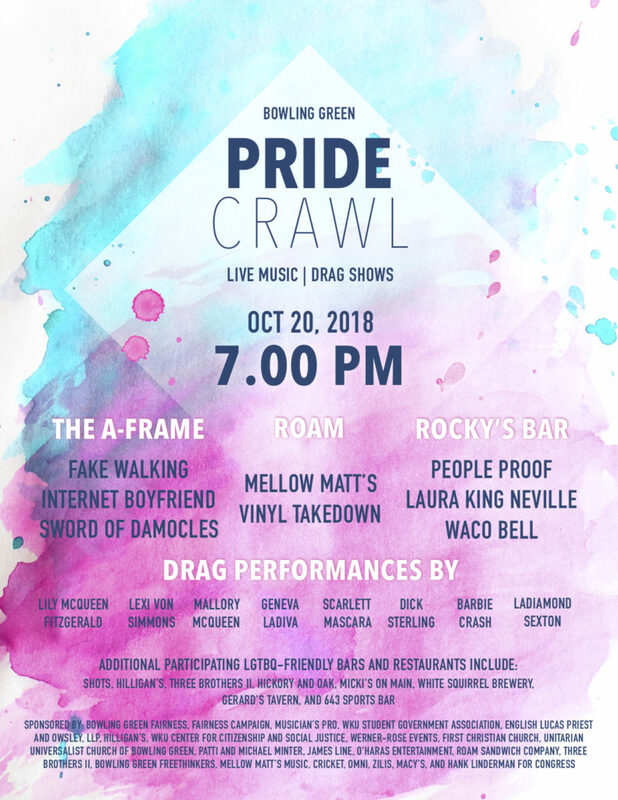 Drag performances will continue in the park and you can catch some awesome bands at The A-Frame and Rocky’s Bar, join Mellow Matt’s Vinyl Takedown at Roam Sandwich Company!